There’s a new attraction at New York’s JFK airport – a working farm! Sponsored by JetBlue Airways, "T5 Farm" takes up 24,000 square feet on the roof right next to the Departure Gate. It will grow a variety of produce and herbs including 1000 pounds per harvest of the blue potatoes it serves on its planes (Terra Blues). The idea is to provide another green space for passengers, while growing some of the food it uses in the air and in the terminal’s restaurants. Food will also be donated to local food pantries and left-overs from restaurants will supply compost to build the soil. Products from NY farmers will also be for sale. Produce is grown in plastic milk crates in a structure rated to withstand 160 mph hurricane-force winds, as required by the Port Authority of New York and New Jersey, which runs the airport. "An airport seems like an unexpected place for a farming experiment, but what better way to explore JetBlue’s role in the food cycle than to harvest right in our own back yard at JFK," says Sophia Mendelsohn, who heads Sustainability at JetBlue. "People are drawn to light and green spaces, and they also have an inherent interest in understanding where their food comes from." 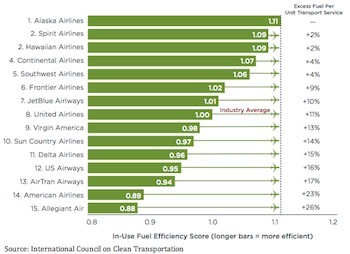 In 2013, JetBlue pledged to cut emissions 40% over 10 years when it signed onto New York City’s Carbon Challenge.